Natural Formula. 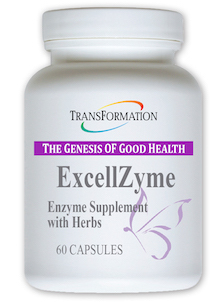 A vegetarian product in a cellulose capsule, ExcellZyme is dairy free, gluten free, and soy free. For best results combine with CalmZyme and/or a protease product such as PureZyme. 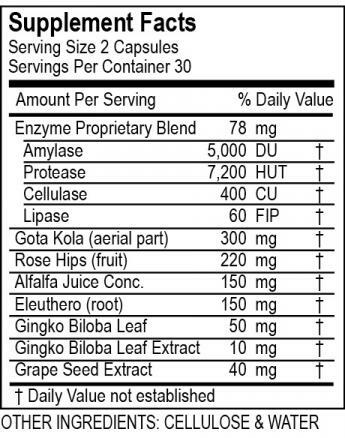 Take two (2) capsules twice daily between meals. Take with adequate liquid. Usage may be increased according to need as directed by health care practitioner. Recommended by Healthcare Professionals for 20 years!